Joseph and Cami Gross are the directors of One Heart Disability Ministry. Their heart desire is to see people with disabilities being reached with the Gospel and loved and respected as an important part of the family of God. Growing up in a big family, Cami learned what it means to serve and reach out to others at a young age as her parents helped others with parenting and homeschooling. At the age of sixteen, Cami attended a camp for families affected by disabilities put on by Joni and Friends Ministry. It’s there that God really spoke to Cami’s heart about serving people with disabilities. She then came back to her hometown in Fort Wayne, Indiana and started One Heart Disability Ministry in the fall of 2006. For Joseph, helping people with disabilities was a big part of his life, including taking caring for and serving a younger brother who had a physical disability. Joseph says that he never saw his brother or anyone else with a disability as anything different, they were just people the same as him. After Joseph and Cami met, Joseph started helping out with One Heart and really fell in love with the people there….as well as Cami! They were married in November of 2008 and have been serving together ever since. Joseph’s hobbies include flying airplanes, spending time with family and friends, and fixing anything that is broken. 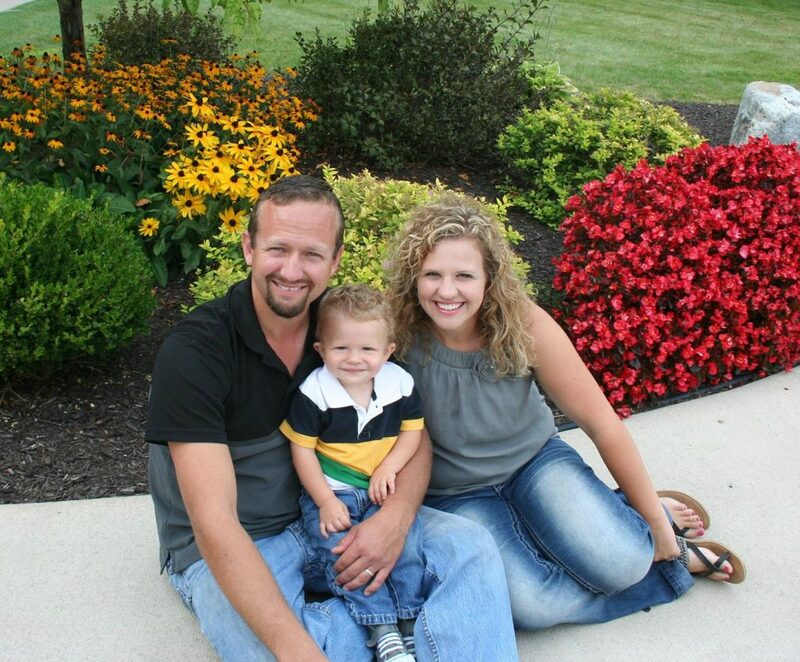 Joseph owns and operates Silver Oak Landscaping near Fort Wayne, Indiana. Cami enjoys scrapbooking and photography as well as doing all kinds of crafts and baking. In January of 2014, they added another One Heart team member when they had their first child, Jason. They are expecting a little girl in December of 2016.